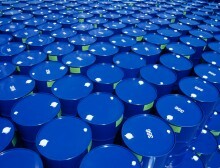 With the expiration of the waivers now just a little more than two weeks away, the oil market is on edge as the White House weighs its next steps. 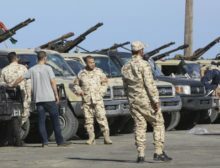 The attack on Libya’s capital by a militia called the Libyan National Army threatens to cut off, or at least disrupt, the nation’s oil supply. 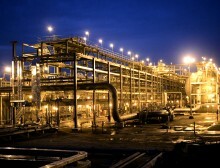 LNG prices are set to tumble as a raft of new projects come online, but a tighter market is expected in the 2020s as project developers face questions on the next tranche of export projects. U.S. shale is expected to account for nearly three-quarters of global supply growth over the next five years—even as it faces both short- and long-term questions about its viability. 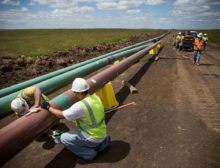 Already struggling with a lack of pipeline capacity, Canada’s oil industry hit yet another setback with the recent announcement from Enbridge of delays to its Line 3 replacement project. 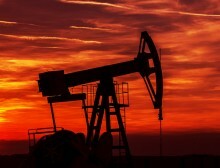 Oil's bullish trend may only prove to be fleeting, with the possibility of another downturn later in the year. 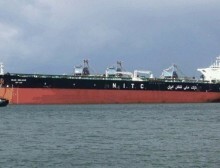 The U.S. government's goal to knock Iran oil exports down to zero may be boxed in by its own policy towards Venezuela. While there is a long list of potential factors that could surprise the market in 2019, OPEC+ supply curbs create a tightening baseline that should lead to higher oil prices as the year wears on. The oil majors have reported their best financial results in years, but they still face a litany of risks both in the near-term and in the years ahead. 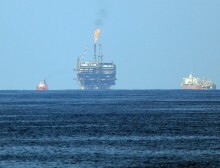 The Eastern Mediterranean has already become a significant source of natural gas production, but fully developing the region’s gas reserves, as well as finding ways to move that gas to market, has been extremely challenging. 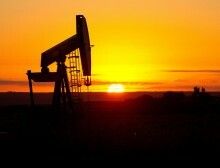 Is An Oil Supply Crunch Looming? The dramatic slimming down over the past half-decade by the oil and gas industry has led to a steep drop off in spending, exploration and final investment decisions on new projects—raising the possibility of a supply crunch in the early 2020s. Despite a range of uncertainties looming over the oil market this year, there is a growing sense that OPEC+ might be able to succeed in balancing the market after all. The outlook for oil prices in 2019 is highly uncertain, but the effects of low prices are starting to wear down the U.S. shale industry. 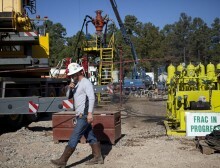 Recent data from the Dallas Federal Reserve suggests a slowdown from the U.S. shale industry is already underway. 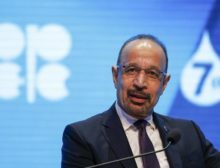 If it occurs, the production cut would be a dramatic about-face compared to six months ago, when Saudi Arabia and Russia signaled their intention to lift output to ensure the oil market did not overly tighten. Reinstituting subsidies could prevent the demand destruction that would otherwise occur from a rise in prices. The third quarter of 2017 was also a three-month period that saw the highest oil prices in years. The majors have reoriented themselves around a lower breakeven price, so the upswing in prices have left them in their strongest position in years. 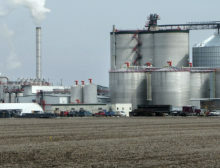 There is almost no middle ground in the battle between ethanol producers and the oil industry. Any movement to address the concerns of one side almost necessarily comes at the expense of the other. 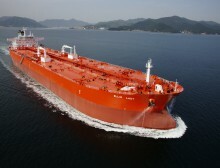 With more buyers from around the world requesting U.S. crude, a Houston-based price point has become necessary. 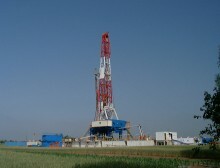 However, it isn’t clear that newfound interest in a variety of shale plays outside of West Texas will prove durable. Rapidly declining oil exports from Iran, combined with ongoing losses from Venezuela, could put Saudi Arabia’s spare capacity to the test. Despite the abnormally low level of gas sitting in storage, natural gas prices have barely moved. 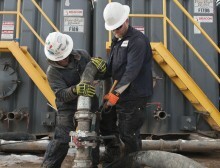 Shale gas drillers continue to add supply, which will likely allow the U.S. to avoid a supply crunch this coming winter. All three countries in NAFTA do not want to see new barriers erected that could impede the growing trade in oil and gas. There is a great deal of momentum to successfully conclude a new trade deal, although sticking points – largely unrelated to energy – remain. The industry's ability to weather current challenges will have global implications. The deeper risk from Turkey's economic crisis is if the contagion spreads as major banks are exposed to souring emerging market assets, or because businesses and even entire governments struggle to pay back the mounting debt denominated in U.S. dollars. China hasn't included crude oil on a list of tarifed products, but that does not mean that the energy trade will emerge from the escalating trade war unscathed. 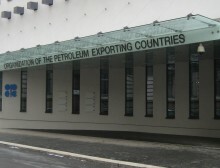 Already, the trade spat has disrupted the flow of energy between the two countries. 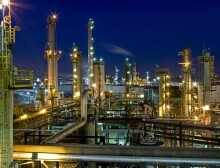 Oil majors and NOCs turn to petrochemicals as a safe bet in a potentially decarbonizing world. Higher oil prices and surging profits in the second quarter are giving them a lot more leeway, definitively putting an end to years of austerity. 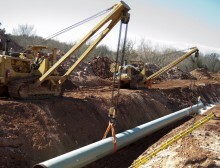 For the first time since the price collapse, international drilling is finally picking up at a time when the blistering growth of U.S. shale is set to take a breather because of pipeline constraints. From the SPR and OPEC to the trade war with China, oil traders face myriad uncertainties through the end of the year. The current zero-sum battle between corn states and the biofuels industry and oil refiners is not new, but it has exploded into a fierce fight over the past year as the EPA cracked open the door to a weakening of the RFS. The latest on oil prices: The forces that helped drive WTI and Brent apart have suddenly reversed course. 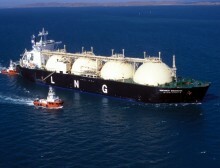 Together, Australia, Qatar, and the U.S. will account for 60 percent of global LNG capacity by 2023. Meanwhile, China will dominate demand growth going forward, importing increasing volumes of LNG to replace coal-fired electricity and coal-burning furnaces. The return of fuel subsidies in several emerging market countries may keep oil demand growth on track, muting the price effect on consumer behavior. 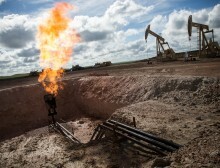 With the Permian possibly falling short of expectations, the U.S. shale boom may not be the panacea to keep prices relatively low at a time OPEC is restraining supply and geopolitical risks threaten more supply disruptions. 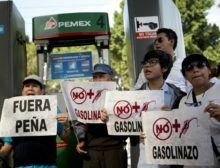 The frontrunner in Mexico's upcoming election, Andres Manuel Lopez Obrador, fervently opposed the historic energy reforms when they were passed several years ago. Higher diesel prices in Brazil have led to nationwide protests and have become a major political issue ahead of this year's presidential election. 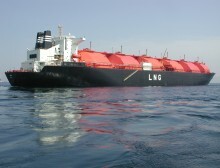 Rising imports from China are helping to reduce the large surplus of supply, and LNG prices are rising again, marking an end to a several-year downturn in the market. The crisis in Venezuela's energy sector is accelerating as creditors are laying claim to the few remaining productive energy assets in the country. Shale executives have repeatedly proclaimed their commitment to capital discipline, promising not to return to profligate spending in pursuit of growth at all costs. But output is growing sharply, poised to reach 12 Mbd in 2019. U.S. crude exports have climbed significantly, reaching as high as 2.3 million barrels per day, but further gains will be difficult to achieve. 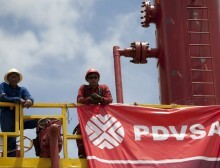 Venezuelan intelligence arrested two employees of Chevron who balked at signing contracts with PDVSA. 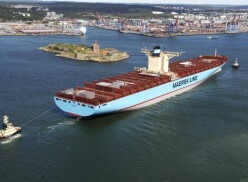 The move has broad implications and will likely lead to even more production losses. 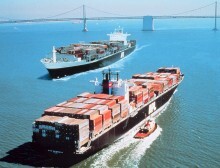 The shipping industry accounts for five million barrels per day of demand. 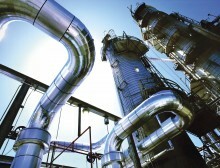 Implications of both fuel specification changes coming in 2020 and the emissions target for 2050 could be enormous for refiners and the entire oil industry. 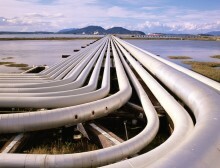 The cancellation of the Trans Mountain Expansion pipeline would significantly hurt Alberta's oil sands producers, which are struggling with midstream constraints and large discounts for their crude. 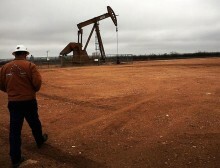 The oil industry continues to struggle despite prices rising and expectations for strong earnings reports. 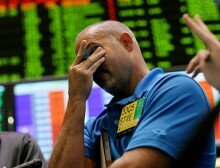 Energy stocks in the S&P 500 declined by 6.6 percent in the first quarter. The current environment is ideal for the oil majors: Lower production costs, consolidation, and cautious spending allow them to post massive returns. 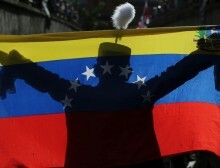 More sanctions against Venezuela could be looming, which would further undermine the country’s production at a time the global market is tightening. 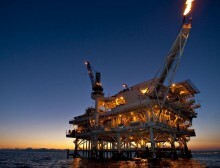 Can the Oil Industry Continue to Lower Decline Rates at Mature Fields? Because of lower spending levels, oil companies have injected more resources into existing oil fields, rather than greenfield projects, particularly ones with long lead times. The severe decline in investment in new LNG export capacity due to the price downturn that began in 2014 could precipitate supply problems in the 2020s, mirroring similar trends in the crude oil market. In the most recent auction in Mexico, 19 out of 29 bids were awarded, sharply higher than the seven expected by the government. 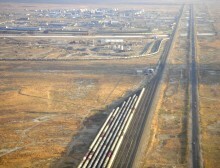 Officials estimate that the awarded blocks could eventually attract $93 billion in investment. 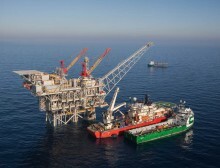 Texas-based Noble Energy and Israel’s Delek Group, the two companies producing gas in Israeli waters, will ship about 64 billion cubic meters of natural gas over the next decade to Egypt’s Dolphinus Holdings. 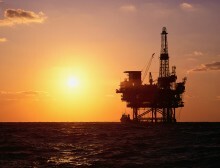 A series of recent deepwater discoveries has demonstrated that the offshore oil sector is beginning to rebound after years of subdued activity, despite increasing interest in onshore shale drilling. Fourth-quarter earnings significantly missed expectations, but they do not necessarily negate the broader improving trend for the oil majors. 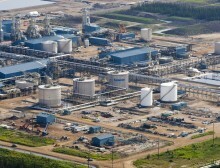 Upstream investment in new projects in Canada’s oil sands has declined by two-thirds since the oil market downturn in 2014, and there is no guarantee spending will rebound. The oil majors are expected to post $80 billion in organic free cash flow in 2018, but spending is expected to be modest. Total capital and exploration spending on global oil and gas will likely bottom out in 2018, and investment may not recover to levels seen before the 2014 market downturn until the mid-2020s. 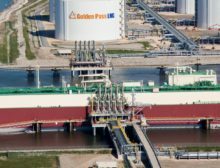 Despite recent bullish developments and the sharp increase in LNG exports, the U.S. natural gas market is expected to remain well supplied throughout 2018. 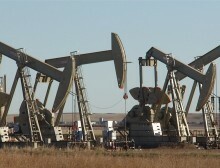 Canada's oil market is dealing with transportation constraints while heavy crude producers such as Colombia and Venezuela are seeing output declines and OPEC producers are cutting production. Proponents of drilling in ANWR say that the potential of Area 1002 is enormous, and oil from the region will be an important supply source to improve the country’s energy security. The Forties outage shows how supply disruptions anywhere globally will impact consumers in all markets. 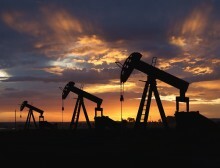 Symptoms of the resource curse can often arise even before natural resources are produced. 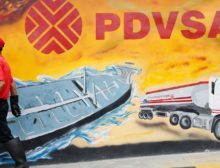 Stacking PDVSA with military officials may help President Maduro avert unrest in the short run, but it will likely accelerate the deterioration of the state oil company. The direction of hedge funds bets in the coming weeks and months will depend on a number of factors, including the U.S. rig count, the strength of the dollar, the Fed’s decision on whether to raise interest rates, and of course OPEC. The risks of more oil production losses have intensified as the financial screws on Caracas continue to tighten. Deteriorating conditions in Venezuela are occurring at the same time OPEC is looking to extend its production cut and tensions throughout the Middle East are rising. 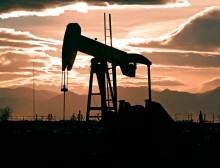 Digital technologies may lower oil and gas production costs by 10 to 20 percent. As a result, technically recoverable oil and gas reserves could climb by as much as 5 percent globally, with the largest gains from shale gas. The oil majors are posting their best quarterly figures in years, an indication that they are adapting to the new price environment. After several years of spending cuts and rising debt, the largest integrated oil companies have turned a corner. In the shale patch, rig productivity is falling, companies are no longer making headway on drilling times, and cash flow continues to disappoint investors. The glut of supply could last years, threatening to keep prices low until the 2020s, but the oil majors are playing the long game, expecting the demand for gas to grow substantially over time. 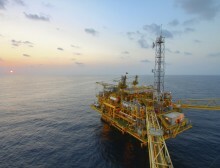 The promising results from Brazil's auction demonstrate that the country's offshore sector remains attractive even as the global oil industry has been hesitant to invest in big projects as a result of relatively low oil prices. 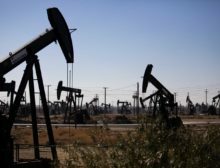 Saudi Arabia and Russia successfully collaborating on tightening fundamentals and lifting prices, if it continues, will likely have large ramifications for the global oil market in the future, given that both are in a position of strength with high production volumes and large proven reserves. 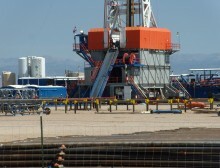 WoodMac sees Permian production peaking at 3.5 million barrels per day in 2021, but that forecast stands in sharp contrast to other estimates pointing to robust growth for the foreseeable future. The North Sea is seeing a revival, thanks to lower production costs, new investment, a slight uptick in output, and newfound optimism. 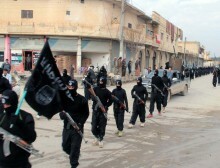 But it's unclear if the region's reversal of fortunes will last. Small independent refineries in China thrived in 2015 and 2016 as a result of low crude prices and high exports of refined products, but the road ahead looks bumpier as analysts see consolidation in the country's downstream sector. The spread between benchmarks Brent and WTI has widened recently, a reflection of a sharp increase in U.S. shale production this year at a time when OPEC is cutting back. 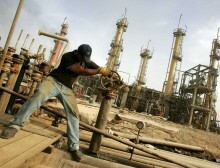 The U.S. government stopped short of a ban on oil imports from Venezuela, hoping to insulate U.S. refiners. But in the short run, Venezuela will have difficulty moving volumes to the Gulf Coast since the region has been swamped by Hurricane Harvey. 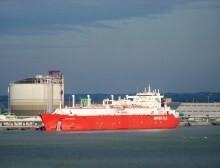 While U.S. LNG will play second fiddle to pipeline gas from Russia in the European market, the mere fact that Gazprom has granted pricing concessions is a sign that Europe's LNG imports are having a significant effect. The potential acceleration of decline rates at some shale wells is an ominous sign that the drilling bonanza in West Texas should not be taken for granted. 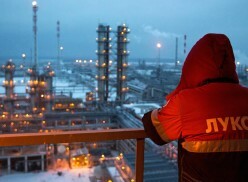 The new sanctions will still tighten the screws on Russia’s energy sector, altering how the country does business with the global energy industry and increasing risks of partnering with Russian companies. Despite strong gains in shale production in 2017, the rebound does not necessarily mean the industry is healthy. 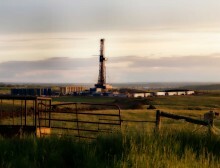 A new report finds that even some of the largest shale players won’t be cash flow positive until 2020. Faltering U.S. gas production in 2016 was an aberration, a side effect of both low prices and the collapse in the oil market, which cut the output of associated gas. In the next five years, U.S. gas production will make up 40% of global supply growth. 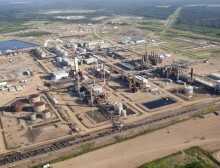 With existing production facing a stiff market, new oil sands projects might remain too risky for most companies. Suncor Energy’s strategy of handing over much of its cash flow to investors is a sign that oil sands face a rocky future. Even though the fortunes of the shale industry have suddenly reversed course, it is not clear that drilling will abruptly take a hit. The recent increase in floating storage is an ominous sign that the OPEC cuts may not balance the market, and it also poses a threat to the ambitious drilling campaigns by U.S. shale companies that are still recovering from the price crash to below $30 in early 2016. 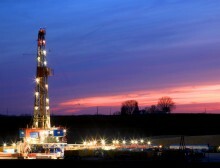 Is Shale Productivity Bumping Up Against Its Limits? There are some signs that the U.S. shale industry is bumping up against its productivity limits, which could lead to lower-than-expected output gains or rising drilling costs. 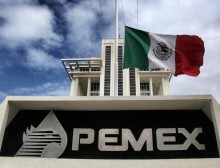 There is still a long way to go before Mexican production can grow in a meaningful way, but several years since the landmark liberalization of the country’s energy sector, the situation is finally moving in the right direction. 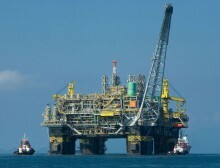 Recent reforms scrapped the requirement that Petrobras own a 30 percent stake in all pre-salt oil fields, essentially opening the door to private international companies. 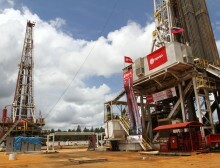 As a result, Brazil's oil production is flourishing. 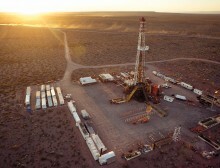 Will Argentina's Shale Revolution Finally Begin? The outlook for Argentina’s Vaca Muerta is arguably more positive than it has ever been, with some oil majors recently giving the go-ahead on big shale investments in the country. 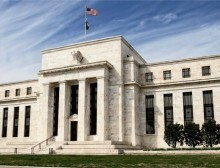 Will Higher Interest Rates Slow the Shale Rebound? 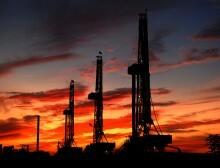 The combination of higher interest rates and rising drilling costs could stifle the rebound in shale production. While the oil majors will likely take higher interest rates in stride, more expensive credit would threaten the financial health of small E&Ps. Oil majors may not be entirely out of the woods yet, but first-quarter performances suggest that they are on the upswing after nearly three years of mostly red ink. 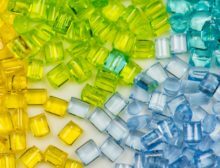 Despite setbacks for the industry, the U.S. shale gas revolution still persists, with the Marcellus play thriving, drillers using more efficient techniques, and exports possibly rising over the long term. A combination of high demand growth and declining production in China puts extra emphasis on projects like the Myanmar pipeline as the country looks to improve energy security. The economic calamity in Venezuela is having a ripple effect on the oil market, altering long-standing trade flows and hollowing out the country’s oil-producing assets. 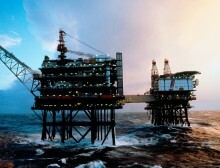 New Shetland Islands Oil Discovery to Revive Production in UK Waters? 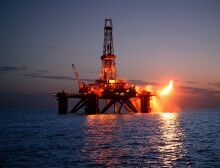 Production in UK waters has struggled to compete against cheap oil in the Middle East, lower risk and short-cycle U.S. shale, and even expensive offshore oil fields in relatively less explored places like South America, West Africa or the Eastern Mediterranean. Even as ExxonMobil sharply increases spending on shale this year, it has also prioritized one major project in particular—a drilling prospect off the coast of Guyana. While growth in shale has garnered a lot of attention, overlooked is the fact that Canada and Brazil are expected to add a combined 2 mbd over the next five years. 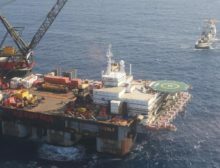 Exxon and other oil majors are still giving the green light to a handful of complex and risky but potentially highly profitable projects offshore, while at the same time increasingly shifting more resources into safer, smaller-scale shale drilling. If fundamentals weaken and oil market sentiment shifts, a sharp price correction is likely once investors liquidate their long positions. The oil industry opposed the disclosure requirements, arguing that the rules are onerous and costly while putting American companies at a disadvantage in the international market. 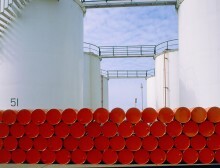 The sharp increase in gasoline inventories since the end of last year has raised some concerns, helping deflate the bullish sentiment that has permeated the oil market over the past few months. Oil majors are now cash flow neutral with oil prices trading around $50 per barrel, a milestone achieved after relentless cuts to spending and payrolls over the past couple of years. Under the border-adjustment tax, U.S. oil would be exempted from taxes if it is exported abroad, making it much more competitive. The tax, however, will have difficulty passing in Congress since it would also likely raise pump prices. 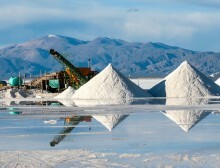 The ramp-up of battery production, combined with the rollout of a growing number of new EV models, ensures strong demand for lithium in the years ahead. After two years of seeing spending contract, the oil industry is poised to boost capex in 2017, but some warn that may not be enough to keep a shortfall from occurring in the future. The Eastern Mediterranean has not seen dramatic development to date, but the scale of its reserves could be enormous and potentially alter the energy security and trade outlooks for the different countries in the area. 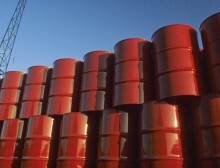 Can Shale Undercut the OPEC-Fueled Price Rally? 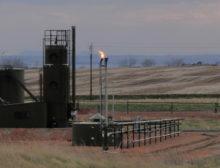 U.S. independent shale companies are starting to step up their spending plans, eyeing a swift return to the shale patch as oil prices rise. Many have revised their capex upward, added rigs, and hedged production forward. With an eye on his legacy, President Obama is trying to ink a few energy and environmental victories before he leaves the White House. The Dakota Access pipeline, the BLM's fracking rule, and monument designations are key areas of focus for the outgoing administration. 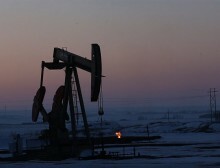 The International Energy Agency warns that the age of fossil fuels is far from over. 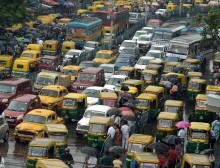 Governments around the world need to step up their policy efforts to find alternatives in the transportation sector in order to keep demand in check. 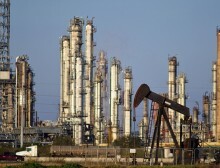 Third quarter earnings figures for the oil majors reveal a mixed picture for the industry: Companies are dealing with more debt, weaker refining margins, and deeper spending cuts, but they are also experiencing increased optimism that the worst might be over. Henry Hub spot prices are up to roughly $3.20/MMBtu, up more than 100 percent from the March low point and up 15 percent since September. Looking forward, the market could grow tighter still. 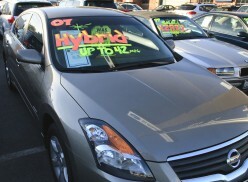 Cost reductions seen throughout the industry could end up being cyclical. An increase in drilling activity will likely grant greater leverage to OFS companies, who may ultimately pass on higher expenses to oil companies. 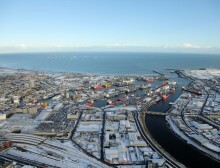 The recent oil discovery on Alaska’s northern coast could reverse the state’s declining output and restore government coffers after revenue declined sharply from the collapse in oil prices. Although the carbon tax proposed by Canadian Prime Minister Justin Trudeau will likely cause more stress for the country's oil industry, it may lead to approval for much-need oil pipelines. The Permian has weathered the downturn in prices better than other shale plays, and prospects there are improving even more with prices firming after OPEC's decision to cut output. Exxon has dismissed the probes of its accounting practices as unwarranted and politically motivated, but they could mark a watershed moment for the oil and gas industry. Even as renewables are playing a larger and ever-expanding role in global electricity markets, oil still dominates the transportation sector and will continue to do so for some time, making today's upstream spending cuts worrisome. 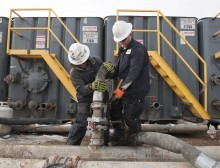 While this past weekend’s earthquake in Oklahoma will not likely bring drilling to a halt, it could usher in a new era of heightened oversight on fracking in a state that has seen increasing investment from shale companies in recent years. OPEC has learned in recent months that it doesn't even have to cut production to boost oil prices. While some companies have been able to drill profitable wells with prices at current levels and the Permian remains attractive, the U.S. oil industry is not healthy with oil under $50. The second quarter saw a remarkable plunge in refining margins, taking away the one source of comfort for the integrated oil majors. 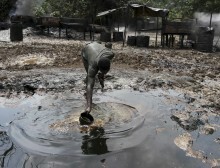 As of June, Nigeria had lost 500,000 to 600,000 barrels per day of oil production, vaporizing about $30 million of daily revenues for the country. 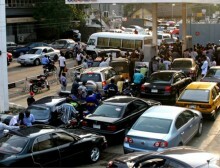 The Nigerian government had already seen its oil revenues cut in half by the collapse of oil prices, but the loss of a substantial portion of its production has pushed the country into a state of crisis. The global oil markets have been dealing with a crude supply glut for sometime, but now the surplus has shifted to refined products. 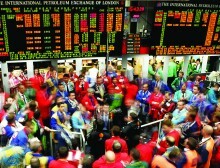 With high stocks of diesel and gasoline worldwide, oil prices, now trading in the mid-$40s, could move lower. 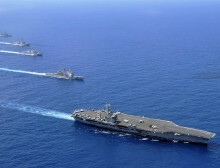 The fight over territory is less about a scramble for resources in the South China Sea than it is about asserting sovereignty and hegemony in the region. 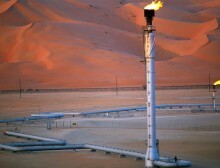 Control over oil and gas reserves happens to be one component of that objective, but is not necessarily central to it. The approval of the $37 billion expansion is the largest final investment decision across the entire global oil industry this year, and ranks in the top three in recent years. 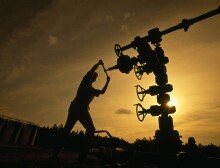 Natural Gas Prices Up 30 Percent in One Month, but Can the Rally Last? 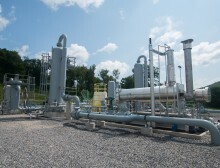 Natural gas prices in the U.S. for August delivery climbed to $2.90 per million Btu (MMBtu) on the last day of June, capping a 30 percent rally in just one month. Today’s prices are also the highest in nearly a year, ending an extraordinary run in which spot prices stayed below $2/MMBtu for much of that time. Despite oil prices returning to the $50 level, expectations of a sudden surge of new oil production in the U.S. are unfounded. 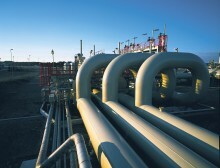 Natural gas markets have not lived up to the expectations in the intervening years since the International Energy Agency originally speculated about a potential golden age for gas. 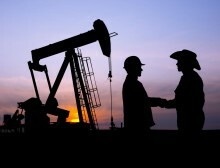 The current relationship between upstream producers and oilfield service companies is not only contributing to cost overruns and project delays, it's also stifling innovation and decreasing the overall efficiency of the oil industry. The oil majors are living off of yesterday’s discoveries, and choosing to pay shareholders at the expense of future growth. Even though the Obama Administration announced methane regulations that were more biting than expected on existing wells, the real story is pending regulations on existing installations, and if the next administration will uphold them. With China's economy slowing, India has stepped up as the world's main center of oil demand growth. 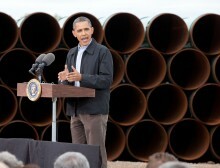 This means its thirst for crude oil imports will continue to grow. 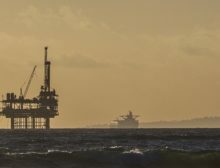 For Britain’s oil sector, the possibility of a “Brexit” has not raised alarm bells as of yet, but there could be higher costs for the industry if Britain breaks up with Europe. 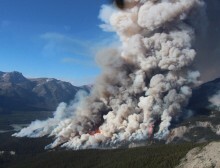 As Canadian wildfires have failed to cause lasting damage to tar sands extraction facilities, oil markets remain calm despite the size of the disruption. 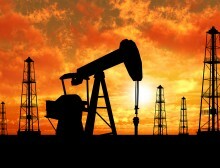 The oil majors reported very dismal numbers for the first quarter, but earnings exceeded market expectations largely because of earnings from their downstream units: Refining operations have allowed the large integrated oil companies to weather low oil prices much better than upstream E&P companies. 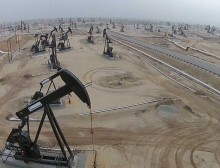 The combined effect of the economic collapse, lack of maintenance at oilfields and refineries, and power shortages could cut off at least a quarter of a million barrels per day of oil production this year. If oil prices do not rebound substantially, the oil majors will not be able to keep up such high levels of spending and still offer shareholders such generous dividends. Russia has the means and determination to hold onto its gas market in Europe, but in doing so, will be forced to give up much of its leverage over pricing and the way contracts are written. 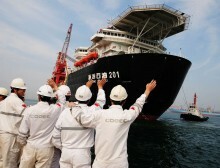 In addition to its role as the top importer, China is one of the world's top five producers of oil. 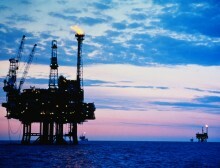 But its contributions to the global market are dwinding this year as its oil companies slash upstream investment. U.S. President Barack Obama travels to Saudi Arabia this week, where he will navigate a damaged relationship with an ally while trying to reorient American priorities in the region. 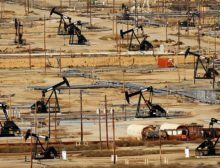 Both banks and regulators are cracking down on shale producers, as 10 of the largest U.S. banks still have $147 billion in unfunded credit to energy companies. The U.S. is on course to set a new record in gasoline consumption in 2016. What to know about "The Bribe Factory," Monaco-based Unaoil's many illicit dealings with oil producing countries and companies. 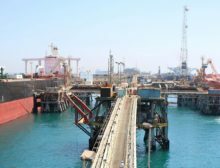 Security-related challenges have disrupted Iraq’s production in the short run, but fiscal pressure and political gridlock threaten to do lasting damage to Iraq’s ability to substantially ratchet up oil production in the years ahead. Russia's oil industry has hit a post-Soviet record, but it lacks access to the investment capital it needs to maintain output. 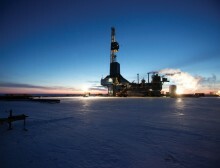 The Governor of Alaska has proposed changes to how the state collects revenue, a recognition that the state’s best oil days are likely in the past. 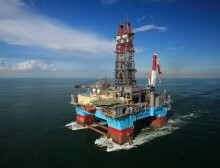 The results from the BOEM's auction this week were disappointing. The weak interest in the Gulf of Mexico from the industry stems mostly from the current low oil price environment. 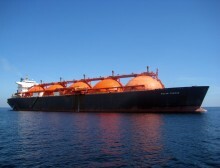 The growing oversupply in LNG export capacity has weighed on prices for the key market in Asia, pushing spot prices down by about two-thirds in less than two years. 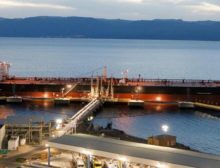 Excess supplies will likely kill off an array of LNG export terminals that have not yet moved forward with final investment decisions. Chevron, Shell, ConocoPhillips, and ExxonMobil are all announcing limits on megaproject spending to focus on shale oil and gas production. After defying gravity for over a year, every American shale producer and shale play is showing signs of decline. 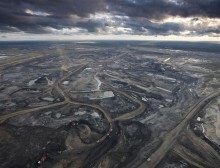 Economists have long supported the phasing out of global fossil fuel subsidies as a way to temper global oil demand. 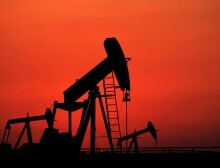 The era of cheap oil is finally making these reforms a reality. 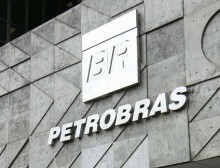 Developing oil and gas in Brazil means dealing with the country's beleaguered state oil company, Petrobras. 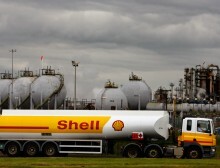 In spite of this impediment, Royal Dutch Shell is doubling down on Brazil. 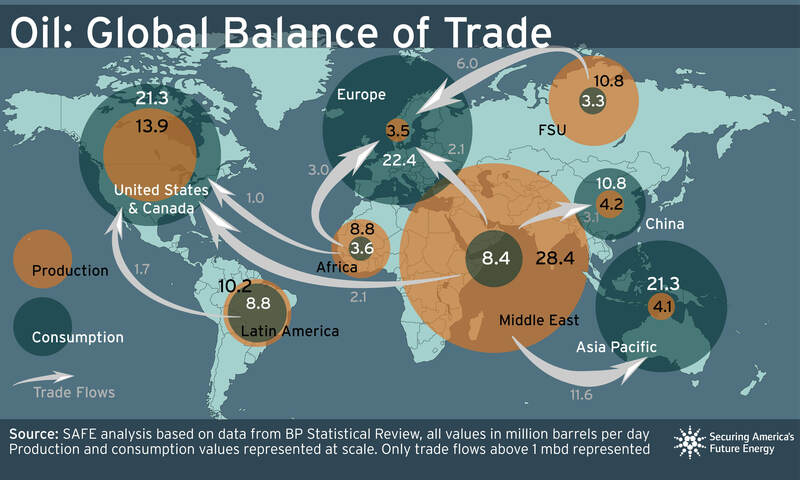 The industry is producing more oil than the world is consuming, and the extra crude is going into storage. 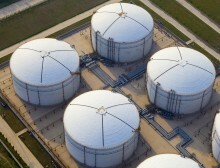 Since the onset of the current market downturn in mid-2014, storage tanks around the world have been mopping up the excess oil, putting downward pressure on prices. 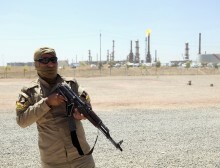 Caught between the battle with ISIS, the public's needs, and desire to invest in future oil production, Iraq is running out of options as low oil prices drag on. 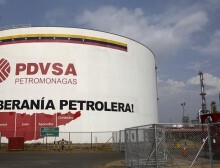 While headlines about Venezuela nearing a default have appeared for more than a year now, market sentiment regarding Venezuela’s ability to weather the oil price downturn has taken a turn for the worse as of late. 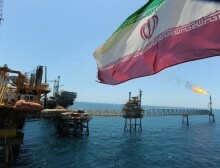 The prospect of Iranian crude flooding an already oversupplied market helped to push oil prices below $30 per barrel in mid-January, but oil prices have further to fall. 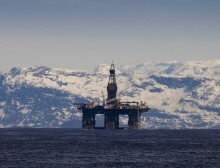 The outlook appears bleak for Canada’s oil industry, with prices for some crude grades in the country trading for just $15 per barrel. The outlook is so bad that some companies are shutting in production. Oil markets are closely watching production levels at key shale formations, but output at thousands of stripper wells throughout the United States is at risk. 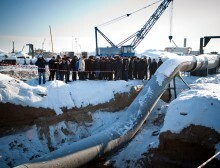 In the wake of the crisis and violence in Ukraine, the EU stepped up its search for alternative supply sources to trim its dependence on imported Russian natural gas, but solutions such as imported LNG provide only marginal energy security gains. Natural gas prices have quietly fallen to dramatically low levels, eclipsing even the rock-bottom prices seen years ago when the shale gas revolution took off. Low oil prices are having a large impact on currencies of major oil-producing countries. Weaker currencies can bring positive developments for the economies, but there are a number of downsides. Here's how a number of big producers have been affected. 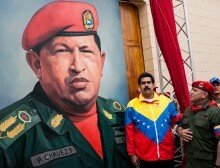 Venezuela is set to vote on parliamentary elections on December 6, a possible turning point that could create the first major cracks in nearly two decades of uncontested Chavismo rule. A perfect storm is hitting Venezuelan President Nicolas Maduro all at once, with low oil prices at the center of the turbulence. Despite a tumultuous history for foreign investors, Argentina is home to the only commercial shale production outside of North America, with output expected to double by 2018. Despite its potential, the Arctic will not likely see large-scale development in the near-to-medium term, if ever. 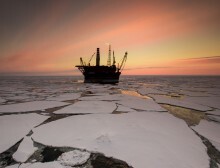 The region’s remote location, lack of infrastructure, harsh conditions, and most importantly, the high-cost of drilling will continue to undermine Arctic oil drilling. China is passing the baton to India as the global driver of energy demand growth, according to the International Energy Agency. 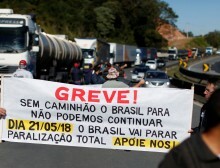 Worker concerns about privatization of Brazil's oil assets is driving a massive strike, with the potential to cause a meaningful production disruption. 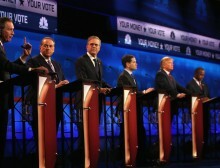 Energy policy has flown under the radar in the Republican presidential campaign—a fact that belies the range of critical energy issues that will be essential for the next President to address. Surging rates for oil tankers and use of floating storage show that, even with global oil demand growth at a five-year high, oil markets still aren't out of the woods. Flagging investment, price and infrastructure challenges, and the coming election are contributing to a grim outlook for Canada's oil industry. The Syrian war has rattled the Middle East and increased tensions between Russia and the U.S., but there has not been any significant impact on oil prices. 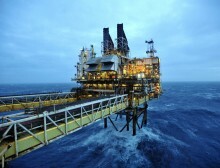 Low oil prices have accelerated the decline of North Sea crude oil production. As companies decommission their fields, those that remain are shouldered with increasing costs and pressure to exit. U.S. oil production has received a lot of attention lately for stalling out and beginning to decline, but the U.S. shale gas revolution also appears to have also slowed down, at least for now. 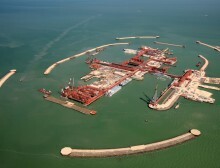 Brazil's missteps in tapping its massive presalt oil reserves is the latest example of the country failing to live up to its potential. 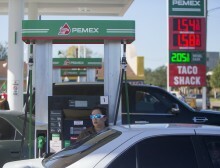 Mexico is already hurting from low oil prices. 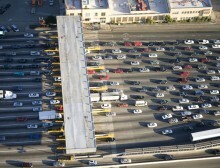 The government's recent move to lock in a $49 price hedge for 2016 reflects high levels of desperation and uncertainty. Egypt was facing a future of steep import bills to meet natural gas needs, but that could all change if Eni’s new discovery lives up to the hype. 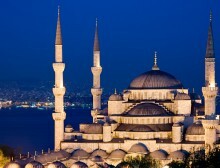 Turkey sits at the crossroads between east and west. 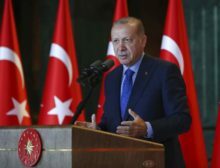 This has been a strategic advantage throughout its history, but even in the modern world, Turkey still sees an enormous benefit from being the gateway between Europe, Central Asia, and the energy-rich Middle East. Oil prices, which have sunk to fresh six-year lows, are on their longest losing streak in about thirty years, and the bear market is not over yet: The coming months offer more threats to the crude market, on top of the ongoing surplus in supply. 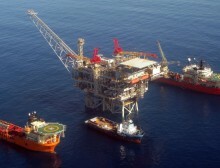 Optimists believed that development of a the Leviathan natural gas field could mitigate some of the most volatile tensions in the Middle East, improve regional energy security, and even allow Europe to reduce its gas imports from Russia. 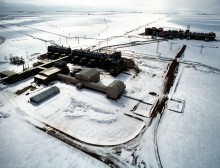 A look at some of the world's largest oil fields, that are now a shadow of their former selves. 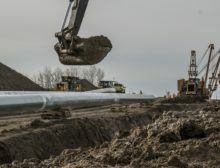 The Keystone XL project has become an over-hyped political symbol increasingly detached from reality, but the pipeline does symbolize the struggles that Canadian oil sands producers have had in getting their product to market. 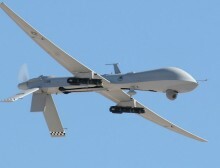 Unmanned aerial vehicles, or “drones,” have been used to drop missiles on military targets for years, but they are rapidly expanding into commercial markets, including the oil industry. Drones offer all sorts of applications that the industry can use. In the Shale Patch, Research Shows Early Signs of a "Resource Curse"
High school dropout rates offer evidence that even in the United States, we are not immune to long-term economic consequences from natural resource extraction. The U.S. oil industry is clamoring around a technology breakthrough that promises to extract more oil while slashing costs. 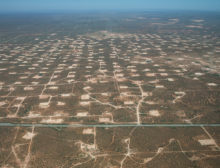 But is "refracking" worth all the hype? 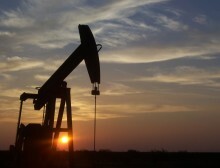 Can We Count on Shale Oil for the Long Haul? With global oil demand growing and upstream investment faltering overseas, U.S. shale oil is a riskier bet than many think. 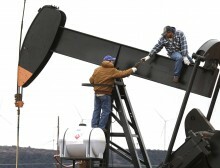 Shale drillers, with diminishing access to inexpensive debt and the cushion of price hedges, face a murky outlook as oil prices seem unlikely to rebound. Despite the recent excitement surrounding export opportunities for U.S. natural gas producers, global LNG demand is looking remarkably weak. 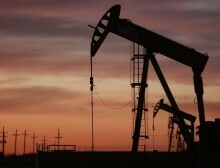 Which cities are hit hardest when oil prices collapse? 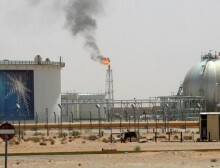 Saudi Arabia is now producing oil at the highest level in nearly thirty years. Can it still provide cover in the event of a disruption?